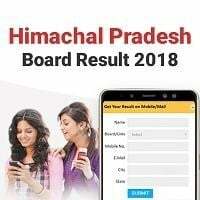 HPBoard Result 2018: The pressure, anxiety or excitement ends now. As the Result for HP BOSE class 12 Exam has been declared. Earlier, the result was expected on April 25, 2018. The result for class 12 board will be available on the board’s portal. Heavy Traffic on the website may delay your result. For quick result: Log on to My Result Plus for hassle free result.